Do you have a dream to go to college, but no one in your family has ever attended? Apply for AVID & receive the necessary academic and social support to make your dream a reality. Stop by Room #401 to pick up an AVID application or download the attached AVID packet which applies to you. All AVID packets are due Friday, March 7th. Are you or your siblings the first people in your family to go to college? If so, AVID might be for you. AVID, Advancement Via Individual Determination, is a college readiness system designed to increase schoolwide learning and performance. But it's more than a program - it's a philosophy: Hold students accountable to the highest standards, provide academic and social support, and they will rise to the challenge. Contact Mr. Tucker online at brian.tucker@fortbend.k12.tx.us or 281-634-4290 for more information. 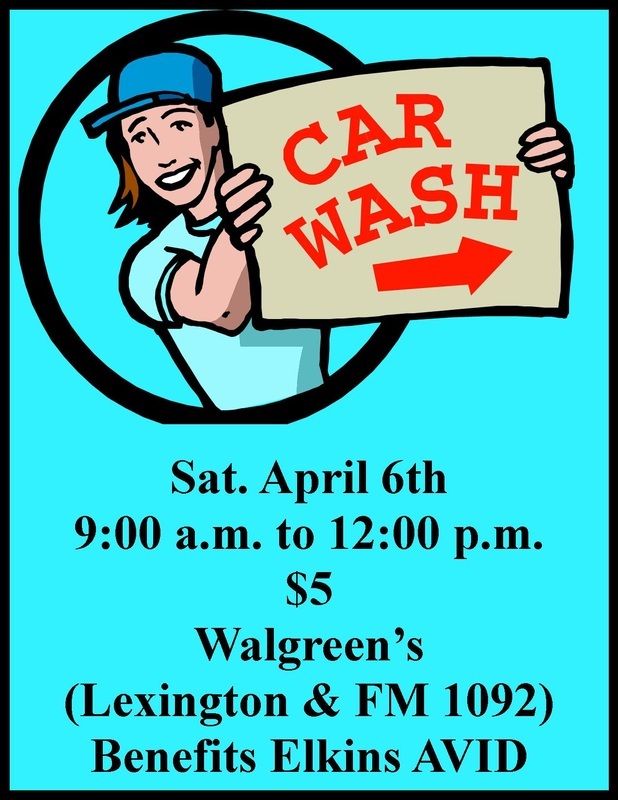 Enjoy a clean car and benefit a good cause -- AVID (Advancement Via Individual Determination) -- a college readiness system with a high success rate designed to increase schoolwide learning and performance. Stop by Room #102 or download the attached AVID application which are due next Friday, April 12th. Are you or your siblings the first people in your family to go to college? If so, AVID might be for you. AVID, Advancement Via Individual Determination, is a college readiness system designed to increase schoolwide learning and performance. But it's more than a program - it's a philosophy: Hold students accountable to the highest standards, provide academic and social support, and they will rise to the challenge. Do you need to get organized??? AVID is having a BLOWOUT SALE!!! You can purchase your Planners now for $5!!!! See any AVID member and get yours today before they are all gone!!!! When: Saturday, October 16th from 10:00-2:00 p.m.
1. Purchase a parking space-1 for $25 or 2 for $40. 2. Bring items to sell. 3. Sell items and keep all profits for yourself. 1. Donate items to be sold at Community Garage Sale. ** BYOT-Bring your own tables-AVID students will unload your items and assist in setting up your space. ***There will be hospitality refreshments/food for vendors and concessions for all.